The peer-to-peer networks that process instructions and maintain records in a blockchain depend on a few cryptographic principles and the mechanism laid out in bitcoin creator Satoshi Nakamoto’s 2008 white paper. One of these principles is private key cryptography, which allows two-way message transmission using public and private keys. In one example, a sender can encrypt a message with the recipient’s public key, ensuring that only the intended recipient, who possesses the associated private key, can decrypt it. Conversely, a user can use his private key to encrypt a message. The recipient can use the sender’s public key to decrypt it, proving that the message was legitimately sent. This method can also be used to sign documents. A sender/signer can pair the hash, a unique, irreversible string of text generated by algorithm, of a digital document or asset with his private key. When the result is decrypted by his public key, a check of the decrypted hash against the accompanying digital document or asset proves the “transaction” is legitimate, any changes would not result in a matching hash. A blockchain consists of a chain of such signed “transactions.” Each new transaction is joined to the existing chain, signed by the sender’s private key and the recipient’s public key, and can be verified by the sender’s public key. To ensure the data is accurate, the process is made more difficult with a proof of work. All computers in the network, upon receiving a new transaction, combine it with a nonce, a random string of text, looking for a desired output. In the case of bitcoin, the desired output is a long string of zeros at the beginning of the hash, but it could be any difficult-to-find string. The successful user is awarded new coins for his efforts, and the new block becomes the de facto standard for the network moving forward. Blockchain zealots fiercely debate the technical definition of a blockchain. For our purposes, a blockchain is essentially a distributed database, with data shared across a network of computers, and a consensus mechanism – rather than a central point of control – used to ensure the accuracy and trustworthiness of the shared data. Some insist that a correct definition must include a description of the economic incentives involved, but we assume that both types of distributed databases pose similar competitive threats. We also acknowledge that the degree of centralisation varies within the blockchain economy. Bitcoin and its peers are public blockchains – anyone is able to fully participate in the network. On the other end of the spectrum, private blockchains are open only to those with explicit permission to participate. For the purposes of competitive analysis, a variety of applications across the spectrum of decentralisation are worth examining. In addition to its distributed nature, an immutable record is another key feature of the technology. A blockchain incorporates a full history of transactions, ensuring that all participants can verify and agree on the state of the database. A block contains a group of transactions, while a blockchain contains multiple blocks. Very simply, when any change occurs – as in the case of a single transaction, the proposed change is broadcast across the network and verified by a chosen consensus mechanism. Consensus mechanisms are another key feature of blockchains. Initially, bitcoin and similar applications used a proof-of-work method of reaching consensus. Proof of work involves a difficult system of trial-and-error computation. Nodes attempt to cryptographically transform the new data into a desired output, which must be done using trial and error. Once a solution is found, it is broadcast to the network, which incorporates the transaction into the existing blockchain. More recently, this costly and time-consuming consensus mechanism has been supplemented by other methods. One such method, proof of stake, typically combines a node’s standing in the network, measured by ownership, age, reputation, or other means, with other methods, including random selections. Blockchains in all their permutations have several attributes making them potentially useful for a variety of business applications. A blockchain is ideally trustworthy, transparent, and decentralised. These features provide most of the technology’s appeal, allowing businesses to solve problems related to trust, recordkeeping, and transaction costs. Bitcoin Explained: What's an Initial Coin Offering? Is It Time to Look Again at Bitcoins? 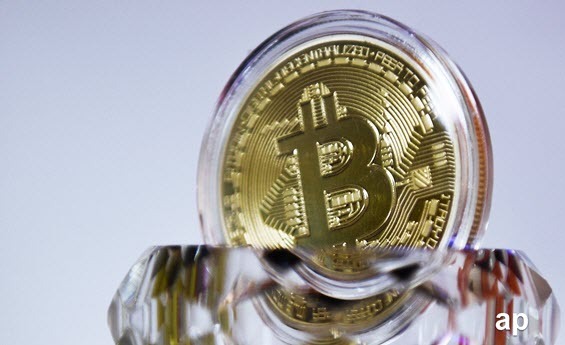 Is the soaring value of Bitcoin an investment opportunity – or a dangerous bubble?